A lot of people lose money in the stock market and many times those losses are the result of fraud or other types of broker misconduct. Since 1980, Russell L. Forkey has been helping investors throughout the country with securities law matters. If you are involved in a securities dispute over securities purchased or sold in the United States or through a United States brokerage firm, we can assist you in protecting your rights in court, arbitration or through negotiation. Dedicated to maintaining our focus on individuals, no client is too small for our firm. Whether you have lost $25,000 or $250,000, we will do everything we can to help you make a full recovery. From investment losses to punitive damages and commissions, we will explore every possibility if you have a claim. Meeting with you for a comprehensive free initial consultation, we will look into every aspect of your case. Reviewing relevant documents and contacting the brokerage firm in question, we will analyze the facts and law relevant to your case and help you explore your options. We are prepared for the litigation and arbitration of a wide range of securities law cases worth over $25,000. If we determine that you have a claim, we will discuss your fee options and come up with a plan that works for you. We will provide you with information as to how the arbitration or litigation process works, the difference between both and the usual and customary costs associated with each. 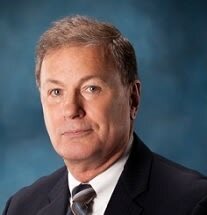 Fort Lauderdale securities law attorney Russell Forkey is highly accessible and responds quickly to all inquiries. Our goal is to help you regain control of your financial life. If you have been the victim of fraud or violation of trust, we will work to ensure you are fully informed and emotionally prepared for the challenges ahead.